The looming monument, known as Cristo del Pacifico or Christ of the Pacific, was in large part personally funded by the soon departing president. Garcia chucked over nearly $36,000 (100,000 Peruvian soles), while Brazilian companies funded the rest. The total cost of the statue and its pedestal is estimated to be about $850,000. 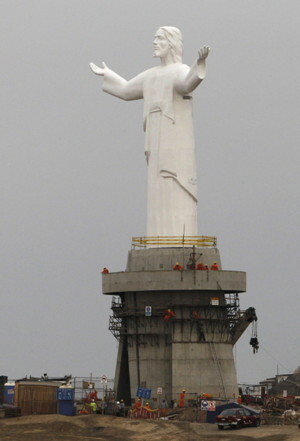 Similar in nature to the "Christ the Redeemer" statue in Rio de Janeiro, Brazil, the Jesus with outstretched arms was inaugurated with fireworks and special lighting. "This Christ has been raised for that, so that it can be seen throughout Lima, and that throughout Lima it can remind parents and children and brothers, to the poor and rich that we are only transitory humans, humans who should love each other and forgive one another. Live Christ the King," Garcia said. However, not everyone is happy about the statue. Susana Villaran, the Mayor of Lima, condemned the lack of consultation over the statue and labeled it "a plastic copy" of the one in Brazil. 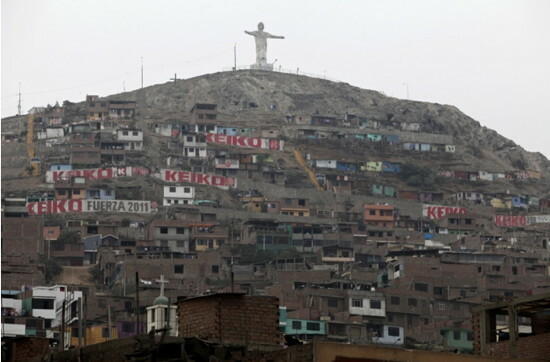 Many see the giant Jesus as a vanity project Garcia chose to pursue before leaving office at the end of July. Furthermore, architects question whether it may violates building codes and historians object to the fact that it has been erected at the location of a 19th century battle against Chile. Local activists have taken to the Internet, forming Facebook groups to oppose the statue with names like Cristo de lo Robado (Christ that was ripped off). Still, others formed groups to support the statue. 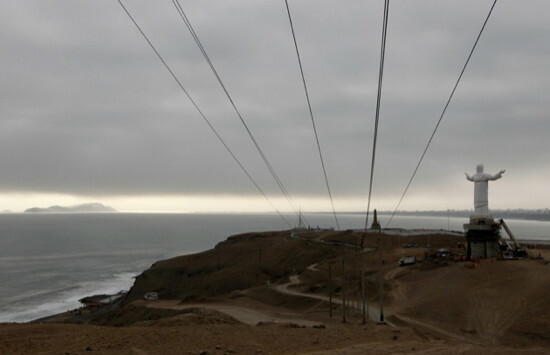 A Peruvian consulting firm found that 51% of Lima residents approve of the monument compared to just 36% who are against it.